If you are looking to book at 2:30 for Lunch or 9:30 for weekend dinner, please contact the restaurant for availability. Private parking for 35 cars. 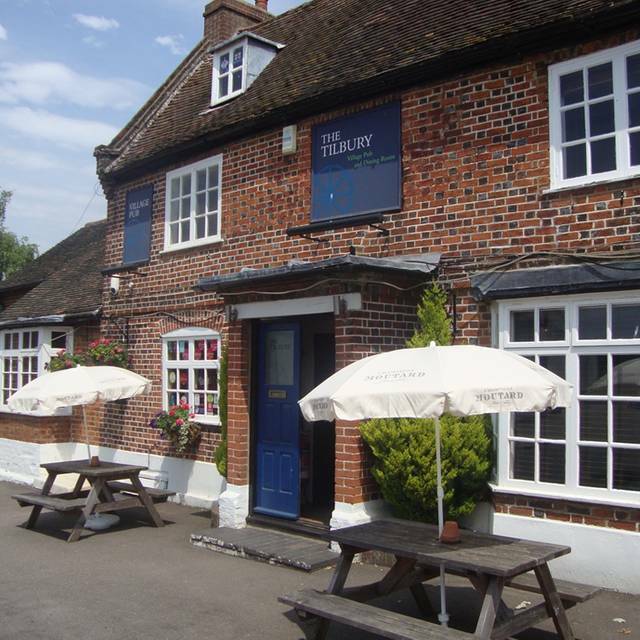 Owned & run by brothers James and Tom Bainbridge, The Tilbury offers an exciting British a la carte menu, an extensive wine list & great service. The A La Carte menu focuses on refined British cuisine and great flavour combinations while the pub menu offers classics like fish & chips. 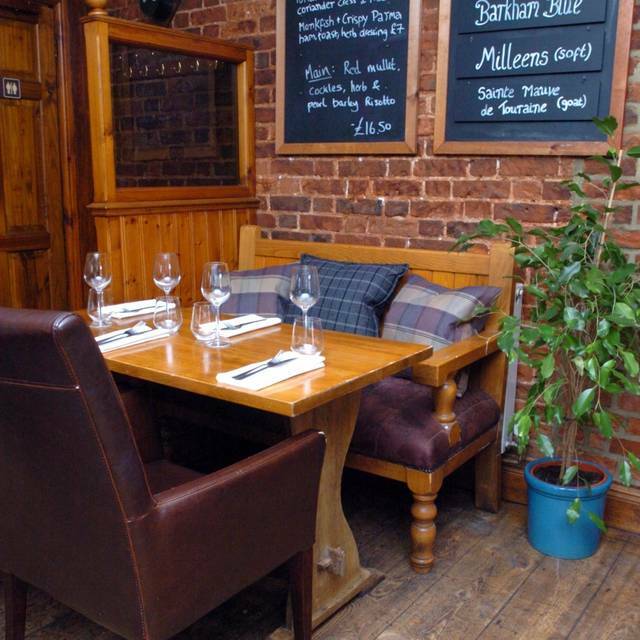 The comfortable pub can offer premium spirits, quality wines, interesting soft drink choices & a wide range of gins. Great service is led by Iain & Ashima who has 3 Michelin star experience – so you are sure to feel welcome. The kitchen is run by Thomas, an accomplished self taught cook who has a passion for quality ingredients & experimenting with flavours. 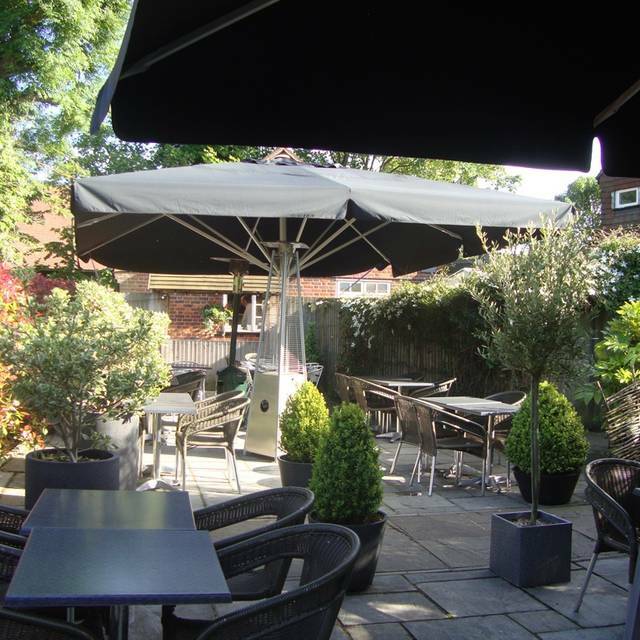 The large terrace and garden is perfect for those relaxed sunny days and with several areas to dine in, The Tilbury can offer private dining for special occasions & celebrations. 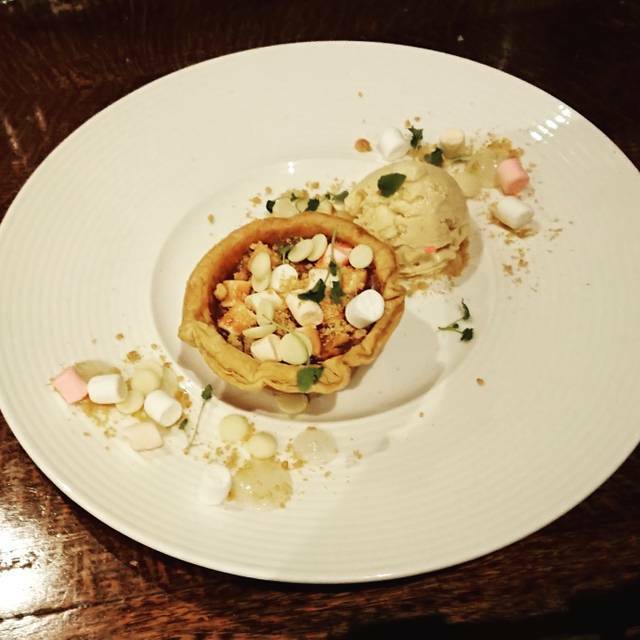 The Tilbury has been awarded 2 AA Rosettes & featured in the AA Pub guide & Michelin Guide for 2015 & 2016 & 2017. Very good food in a lovely environment. The staff are very friendly and knowledgeable. Although I have been to lunch here several times this was my first evening visit. We were left waiting a while before some one asked us if we would like a drink. 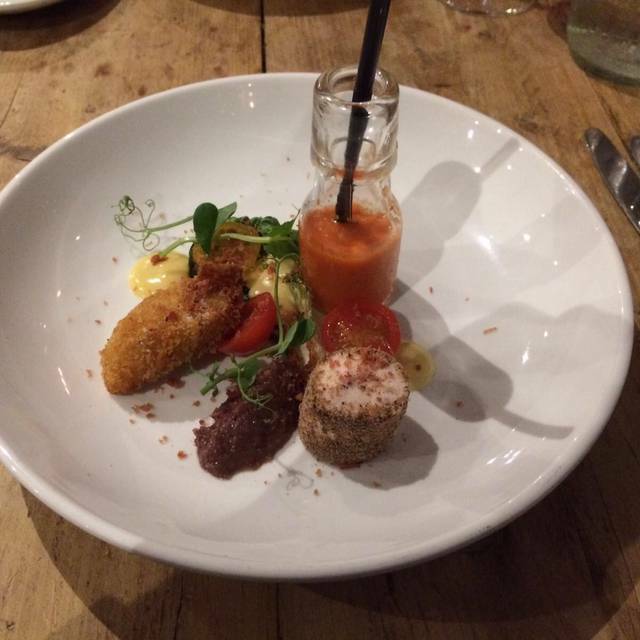 Complementary starter was lovely. Then we shared the confit grey mullet prawn fritters prawn cocktail mayo and burnt gem. For mains I had the herb and nut crusted halibut smoked mash with wild garlic sauce. And my husband had the Tilbury bacon cheese burger fries coleslaw pickles and fries. All delicious but the fries were cold . My meringue desert was also very nice. Yes we would go again. Lovely evening. Lovely place for a speacial occasion. Food is delicious and the service was great! I have eaten here many times and have always appreciated what they are trying to do with the quality of their food. However, last time I was not fully impressed and this time I was really underwhelmed. Firstly, the service was excellent, really attentive. The problem however, was with the food. I really really cannot stand it when prices are very high and portions are miserly, regardless of quality - which in this case was average. My guest had the Jersey Royal entree and honestly, it was two minute potatoes sliced up. It was something like 8 Pounds for that and the ingredient cost was about ten pence. You cannot do that to customers. I never understand why either! Why cut corners on key ingredients when they cost nothing? I don't want some massive dish but this should have been at least four or five neat whole jersey potatoes. Give us some respect. My entree was confit of mullet with prawn fritters etc - again pretty miserly portion with three minute prawns. The mains were all 22-23 pounds - that's a lot and I eat in high end London restaurants all the time. My partner confessed later to having gone for the burger to save on costs which I thought was really a pity - even tho of course I stressed, 'have anything'! But people are aware of these costs when someone else is paying. It was a reasonably good burger but north of 15 pounds. I had the lamb rack and hotpot - the rack was pink and tasty but the hotpot was very very salty and not very enjoyable as a consequence. does anyone actually taste the food I often wonder or just prepare it? We had a bottle of house red and a double gin and tonic the latter of which came in at a record beating and eye watering 12.85 or something. All in spent nearly 100 quid for the whole meal with two liqueur coffees at 6.50 each. I can and do spend serious money eating out but here it all felt a bit risible this time, and like I was being taken for a ride. I never write reviews but this time felt I should feed back these comments. Great service throughout. All enjoyed the food, and a very nice touch brining out the birthday dessert plate at the end. Will definitely be returning. Great food and great service as usual. We had a lovely family Sunday lunch to get together with my brother who was visiting from the States. He voted the lamb scrumpet one of the nicest things he had ever eaten and would have happily eaten a whole plate of them! Not our first visit and certainly won't be our last. The food was delicious. Buying wine by the glass is very expensive (over £10 for a 250ml glass). 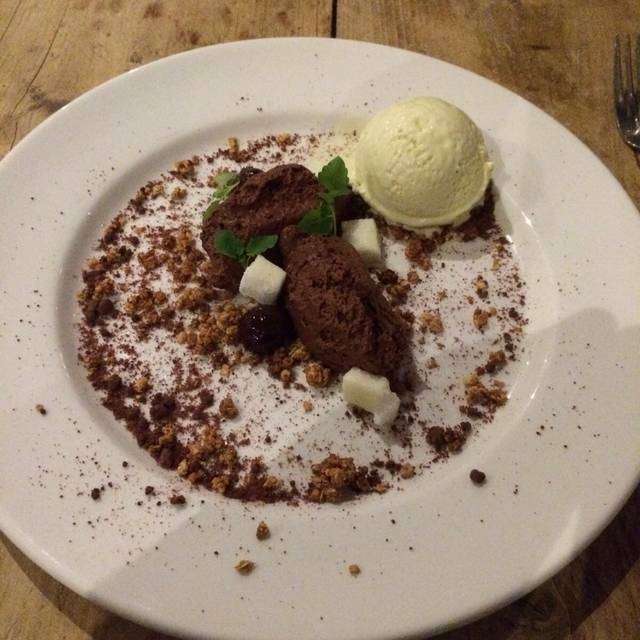 The service was good except when the time came to pay the bill when we discovered we had been overcharged for a dessert. Overall we had a nice time but wouldn’t recommend based on the price of the drinks. Lovely low key pub with truly restaurant standard food. Not for those who eat out on a whim, more for a slightly special occasion. There were two tables with a birthday, which was acknowledged with a bite size cake and candle - nice touch. Food was well presented but the vegetarian option of pasta in a pasty was a struggle to eat and would have been better accompanied by a few more vegetables, perhaps mange tout to accompany the three asparagus, so that the meal was less dry in the mouth. The wine prices were far too high! In general, the chef and waitress were very good, it was just that one of us, unluckily, chose the wrong option. Had a Mother's Day meal here and the experience was amazing. All staff were attentive and made us feel welcome and valued. We had a small baby and a high chair was waiting ready for us, the level of service was impeccable, with the food astonishing. Couldn't fault the staff, venue, food or experience. Would definitely recommend. They even found and kept aside my watch (taken off for the baby to play with, bad mistake)!! Disappointed. Read rave reviews on line so booked a table, but did not live up to reputation. Menu limited in choice and overweighted towards fish/seafood. We ordered after a large table and were kept waiting a long time for our main courses; when it was finally served the food was luke warm, but we were so hungry we ate it. On our table of 5, the average score given was 6.5 out of 10 for the food. Very disappointing choice of desserts, so much so that only 1 person out of the 5 ordered one. Food is expensive for what it is, which is slightly above average pub fare. On the plus side, the staff were very good and attentive. I would not go back. Mother’s Day meal with family. 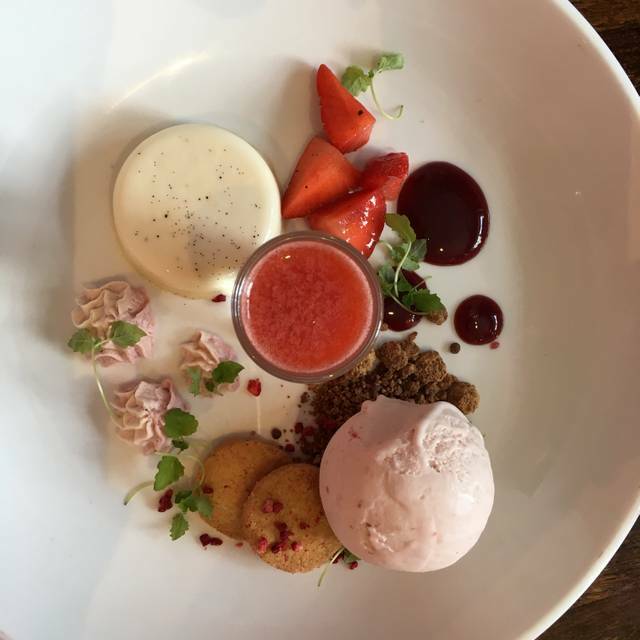 The Tilbury is one of our favourite places to dine, due to service and quality of the food. Showcasing local suppliers and fresh produce cannot recommend this place enough. As always my friends and I enjoyed everthing about Thhe Tilbury especially the service and the fish and chip!! My only suggestion might be that a change in the basic bar menu would be welcome sometimes. Awesome place, inventivefood, superb service. It’s not cheap buy, as with anything else in life, you get what you pay for. Just take my money! We have been to the Tilbury on several occasions and it never disappoints. The food was as lovely as always but I think the drinks are quite expensive. Strongly recommended. Excellent meal with several interesting new menu items. The jackfruit main course was too heavy on the vinegar, other than that everything else was very good indeed. Great food, fantastic service. The Tilbury never disappoints whatever the occasion. Excellent in every way. Still our favourite restaurant in the area. I invited some family and my nephew for his 25th Birthday. It was fabulous. The service was superb, friendly and prompt. The food was delicious and beautifully presented. They even brought my nephew a birthday dessert plate. The atmosphere was great and we thoroughly enjoyed our evening. 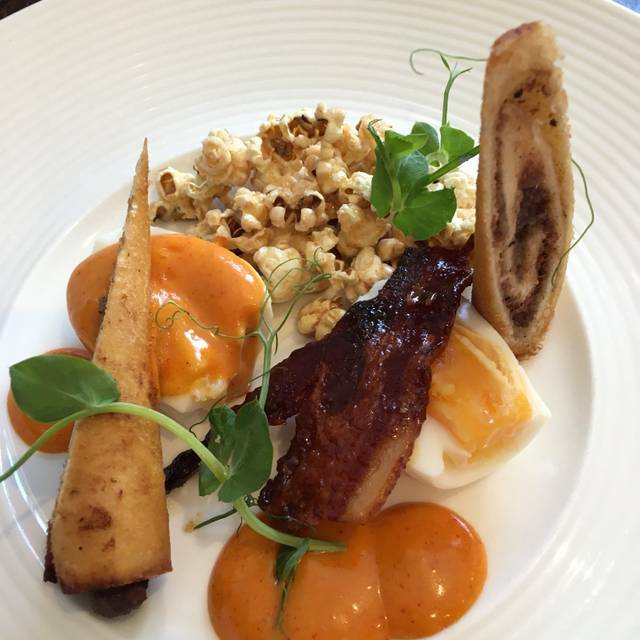 Excellent food with a twist which distinguishes this venue from others. That was the first time I had been there. I would definitely recommend The Tilbury. The food and service were excellent! We had a lovely evening. Great service, excellent help with the wine list to compliment our meals. Excellent service. Great food, and really understanding staff, due to a late arrival time. Though I've been here before none of the other four people had, and everyone thought it was excellent. The service is excellent the staff are well informed as to what’s on offer. Very creative menu. Excellent food as always, excellent service too and the sof tshelled crab was back on the menu! A lovely Sunday lunch. The food is the best in the area but marking it down as it was extremely noisy. Very difficult to have a conversation. Everyone was clearly struggling to be heard and it just got louder and louder. This place had been highly recommended by friends and I now understand why? Everything about our evening was lovely from the warm welcome when we arrived. The service throughout was excellent and the good was amazing. The menu had some really interesting dishes which made dinner a bit of an adventure! I can highly recommend the purple sprouting broccoli with Stilton ice cream starter! 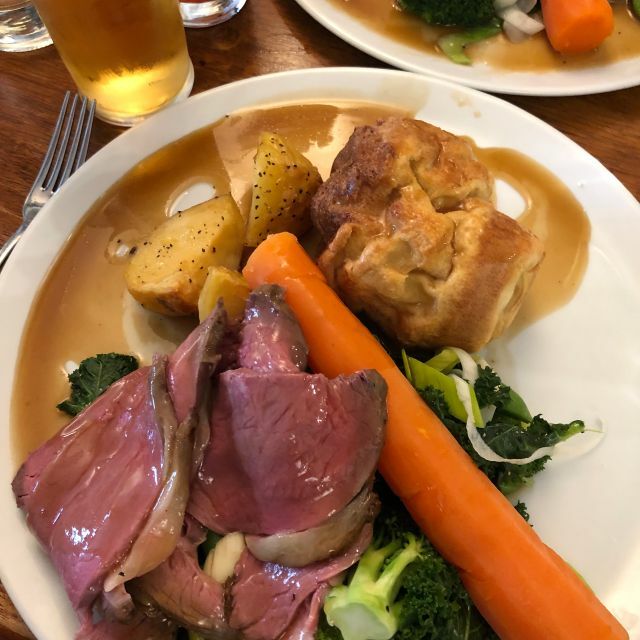 We had a delicious Sunday lunch! The staff were so welcoming and accommodating for our friends with a baby. Very family friendly, will definitely come again! Great night as always, we do it same time every year. We love the food, wine, atmosphere and service. We would recommend to anyone looking to have a great time. If ten blokes in there 30s are so welcomed I can’t see who wouldn’t be!